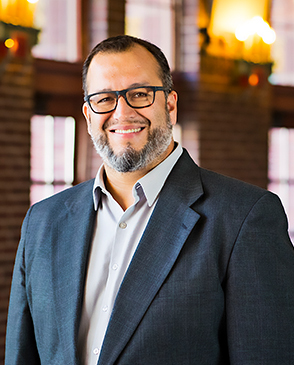 Josue R. Reyes has served as the Hispanic Ministry Pastor since the fall of 2014. He was born into a Mexican-American family in Mexico City; he and his family moved to Texas in 1990. Josue attended the University of North Texas and graduated with a BA in Radio / Television / Film. In 1999, he married Karina, and in 2000 they relocated to Chicago to work in full time ministry. Both Josue and Karina attended and graduated from Moody Bible Institute. They have three children and The Moody Church has been their home church since 2008.